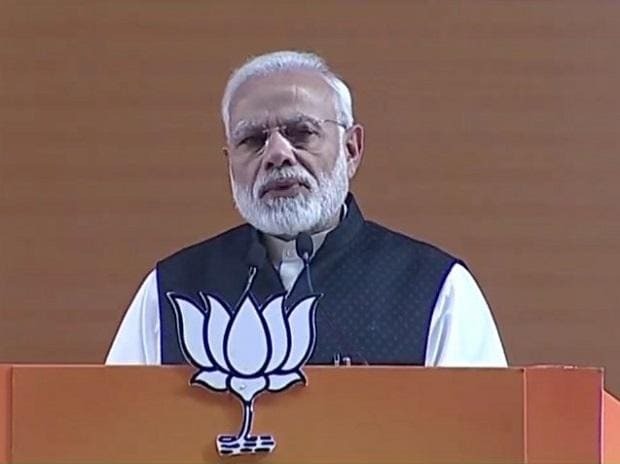 The BJP government is sincerely working to solve the problems faced by farmers, who were treated merely as vote bank by previous governments, Prime Minister Narendra Modi said at the saffron party's national convention here Saturday. "The 'annadata' (provider of food) was turned into a 'mattdata' (voter). We are making sincere efforts to empower them. We want to make farmers the carriers of new energy of a new India," he said. Modi alleged that the demand to provide farmers a minimum support price (MSP) 1.5 times the production cost was buried in the files earlier. "We are making all efforts with the help of the state governments to clear the hurdles in providing farmers MSP 1.5 times the cost of production," he said. The prime minister further claimed that his government had procured 95 metric tonnes of pulses during 4.5 years of its rule compared to only 7 metric tonnes of pulses and oilseeds procured by the previous dispensation in five years. "Now you do not find any breaking news on soaring prices of pulses. It's because we adopted a long-term policy," Modi said. There is so much more needed to be done, he said citing issues like loans of farmers and rising input costs. "I won't say all the problems have been solved. I realise so much more is to be done," he said.